This is what we are all thinking about the Baden-Clay appeal. The newspaper front page that says what everyone is thinking today. Bravo to the editors at The Courier Mail. Victims of domestic violence, people who work in the field of law, mothers, fathers, Queenslanders, Australians. 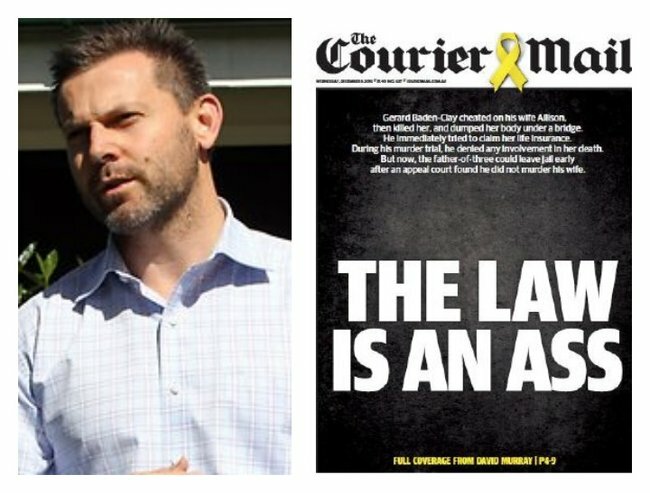 Is there anyone out there who agrees with the decision to downgrade the murder charges of Gerard Baden-Clay from murder to manslaughter? Is there anyone who thinks the law has been upheld? Is there anyone who hasn’t turned their thoughts to the three daughters of Allison, to her sister, her brother, her parents, Geoffrey and Priscilla Dickie? Today The Courier Mail has taken the bold step of editorialising their front page. 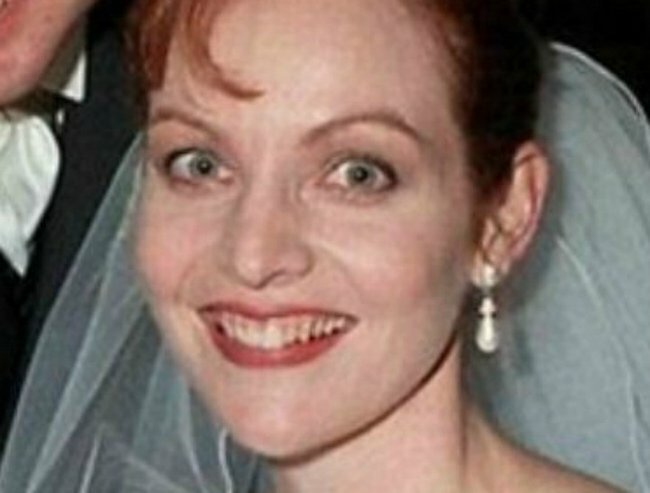 The judges overturned the murder conviction after deciding the jury’s verdict was not sound, as stated in The Courier Mail they found it was unreasonable because it did not follow consideration of an alternative hypothesis – that an argument about Baden-Clay’s unfaithfulness escalated into violence and resulted in accidental death, with a panicked husband then disposing of the body. In the judgement the Court of Appeal said while Baden-Clay lied about the cause of scratches on his face and tried to hide his wife’s body, there was a reasonable hypothesis he was innocent of murder. Allison’s violent and tragic death is now an “accidental death”. What message does this send to other women silent about their domestic violence? What message does this send to women afraid of speaking out? What message does this send to their abusers? There is fresh hope with the announcement last night the QLD Attorney General is seeking legal advice on the prospects of success of an appeal against the Court of Appeal’s decision. But legal experts are not convinced the law is on his side.. 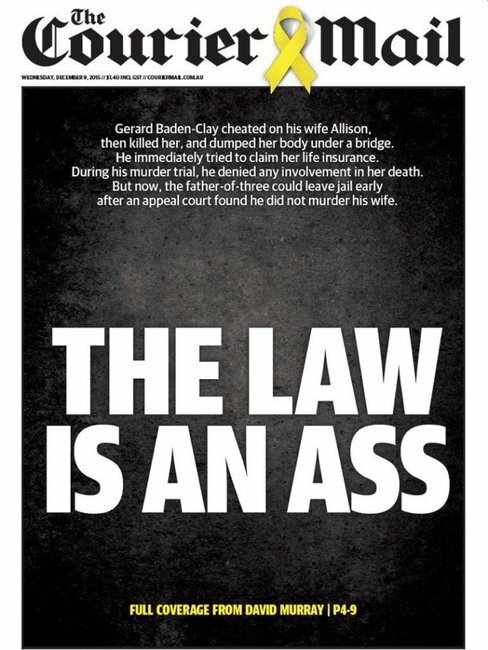 In the meantime The Courier Mail’s front page says it all.